Karcher PUZZI 8/1 C Spray extraction cleaner for upholstery and spot cleaning. Please call our office for more information on 01473 636663. 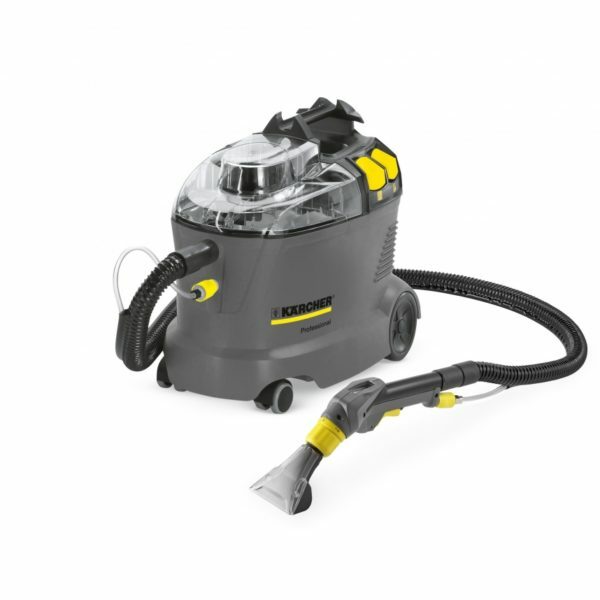 The powerful and compact Puzzi 8/1 C enhances Karcher’s spray extraction range as it is ideal for upholstery cleaning and spot cleaning of carpeted floors. Due to the excellent suction power, the Puzzi 8/1 C leaves carpets and upholstery virtually dry to touch in minutes. It’s lightweight construction means this unit can be transported easily from one place to another perfect for use in hotels, hospitals, shops and the automotive industry.